Thank you for your interest in our program. To see which faculty are likely to accept students, please visit this page. The University of Connecticut is located in Storrs, a small, quiet, rural community in the northeastern quadrant of the state, approximately 20 miles from Hartford, 90 miles southwest of Boston, and about 150 miles northeast of New York. There are approximately 18,000 undergraduates and 6,500 graduates at the Storrs campus. Graduate dorms are available, as are a large variety of private rental units. The University provides many cultural activities and attracts top-flight entertainment. Outdoor sporting and recreational opportunities abound. 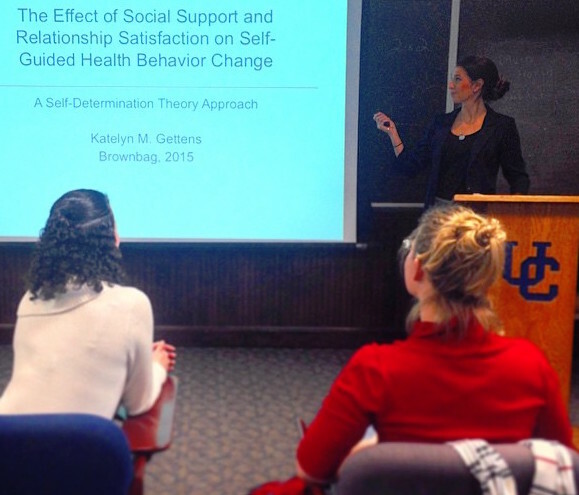 The Clinical Psychology Program is one of six divisions within the Department of Psychological Sciences. The clinical faculty is committed to advancing scientific knowledge in applied clinical areas. Our Program centers on a commitment to scholarship and emphasizes the significant role played by theoretical and empirical knowledge in understanding complex human behavior. The faculty share the belief that scientific methodology represents the essential underpinnings of all activities engaged in by professional practitioners. The faculty also shares a commitment to furthering their own professional expertise as well as to expanding the knowledge basis of the discipline of clinical psychology. We are particularly proud of the fact that six of our clinical faculty members have been recognized as outstanding educators by a variety of university and national organizations. The mission of the Program is to train psychologists who can use psychological theory and methods of empirical inquiry with sophistication. Program objectives are to graduate new generations of professionals who (a) possess specialized and expert knowledge about multiple areas of normal and abnormal psychological functioning, (b) can create and implement innovative psychological strategies and procedures that will help to promote human welfare, (c) can evaluate the efficacy of such innovative approaches, (d) hold self-critical and self- corrective attitudes toward all their scientific and clinical endeavors, and (e) will promote scientific and professional excellence.